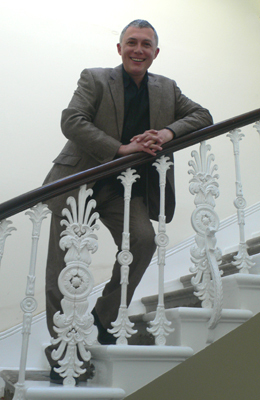 Stuart Hutchinson has held the posts of Head of Music and Chorus Master for the Buxton International Opera Festival, Dublin Grand Opera and Wexford Festival Opera. He has also worked on the music-staff of English National Opera, Opera North, Opera 80, New Sadler's Wells Opera and the Wagner Society. Stuart Hutchinson has worked in association with many eminent directors and choreographers including Sir Trevor Nunn, Jonathan Miller, David Pountney, Ian Judge, Sir Peter Ustinov, Francesca Zambello, George Abbott, George Ballanchine, Gillian Lynne, Donald Saddler and Sir Kenneth MacMillan. For English National Opera he has conducted Carmen; for Scottish Opera Weill's The Threepenny Opera; in Berlin, the Houston Grand Opera production of Weill's Street Scene; for the London International Opera Festival La Rappresentazione di Anima e di Corpo (Cavalieri) and the British premiere of Dominick Argento's Postcard From Morocco; he conducted the world premiere of Stephen Oliver's opera Tables Meet (Royal Festival Hall); for New Sadler's Wells Opera Ian Judge's production of Bitter Sweet and The Mikado; as guest conductor at the Royal Academy of Music he conducted Cimarosa's Il Matrimonio Segreto. From 1986 to 1990 Stuart held the post of Music Director to Morley Opera, for whom he conducted the standard repertoire and notable productions of Britten's Paul Bunyan, Les Deux Journees (Cherubini), Our Man in Havanna (Williamson), Dunstan and the Devil (Williamson), Weill's The Rise and Fall of the City of Mahagonny (UK premiere of the complete work), Haydn's Il Mondo della Luna and Frank Martin's Le Vin Herbe (Martin centenary production). As Guest Musical Director to Scottish Ballet he has conducted productions of Giselle, I Vespri Siciliani, Ballanchine's Concerto Barocco and the contemporary ballet Troy Game. He has also conducted for the Russian prima ballerinas Natalia Makarova and Galina Panova. Stuart Hutchinson is respected as a musicologist. He is a member of the editorial team for the complete Walton Edition (William Walton Trust/Oxford University Press). His edition of Walton's Troilus and Cressida, based on the composer's unfulfilled intentions, was staged by Opera North (1995), published by OUP (2003) and the Chandos recording won a Gramophone Award (1995). Stuart Hutchinson received press acclaim for his conducting of Kurt Weill's Street Scene in Francesca Zambello's production (Houston Grand Opera/Theater im Pfalzbau, Ludwigshafen) at the Theater des Westens, Berlin. Other engagements include Deborah Warner's production of Janacek's The Diary of One Who Vanished (Music Advisor – ENO/Royal National Theatre/Dublin/Paris Bobigny) and conducting a studio workshop of David Blake’s opera Scoring A Century (directed by Keith Warner) and an Offenbach Gala for the Barbican Centre's festival Images de France. © 2008 StuartHutchinson.org. All rights reserved.